Let's be honest, all of us are looking for a bargain. For example, if you were buying a new truck or car and could find the same truck or car at another dealership for a cheaper price, you would probably buy it at the cheaper dealership as long as all the features were the same. Here is where it becomes unclear for the consumer of services such as Pest Control because you don't know if all the features are the same. This is why you must become an educated consumer. See our Link "Before You Hire A PCO" to educate yourself on what to look for in a Pest Control Company. 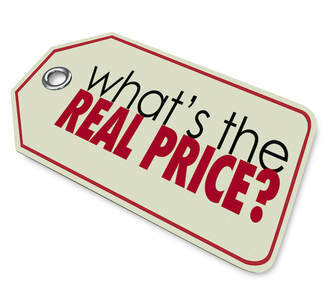 Unfortunately many consumers have learned the high cost of a cheap price the hard way. Some unethical firms offer a super-cheap price to hook you, then once inside your home, make everything an additional cost! In most cases when you get the cheap price, the result may be a poor control job and/or exposure to unsafe chemicals. Because the cheapest chemicals are the harshest and most dangerous chemicals, they may get rid of the pest, but might be a greater risk to you and your family‚– is that a risk you are willing to take? Just remember that there is a reason they are cheaper. They are willing to cut corners to get your money and are not concerned with your actual pest problems. When comparing prices, look at the difference between the prices, not the total cost, because that is the actual additional money you will be paying for a professional service. It cost more to utilize the best products and up-to-date equipment on the market today to provide an adequate professional service. This does not mean that you have to pay the highest price, but it does mean you must become an educated consumer when it comes to hiring any service company. ​Remember we always pay for it, one way or another! "The bitterness of poor workmanship remains long after the sweetness of a low price is forgotten"